Mr. Schwartz received his Bachelor of Music degree in trumpet performance from the Mannes College of Music, Master of Music Degree in music education from the Manhattan School of Music and NY state certification in school administration and supervision from Hunter College. Mr. Schwartz began teaching in the Great Neck district in 1992 where he currently serves as Department Head of Performing Arts (music and drama), Director of Instrumental Music (bands and orchestras) and conductor of the annual musical and opera productions. His opera conducting credits include: La Boheme, Le Nozze di Figaro, Die Zauberflöte, Les Contes d’Hoffmann, Die Fledermaus, Carmen, The Merry Widow, Gianni Schicchi, Suor Angelica and Candide. His musical conducting credits include: The Mystery of Edwin Drood, West Side Story, Cabaret, Guys and Dolls, The Music Man, Anything Goes, The Boyfriend, Into The Woods, Pippin, Grease, Les Miserables, Kiss Me Kate, Bye Bye Birdie, Thoroughly Modern Millie, The Phantom of the Opera, The Who’s Tommy, The Drowsy Chaperone, Chicago, The 25th Annual Putnan County Spelling Bee and The Sound of Music. Mr. Schwartz also coordinates and teaches in the district's Great Neck Summer Instrumental Music program now in its 23rd season. Prior to working in Great Neck, he taught music at PS 217 on Roosevelt Island, O'Henry School of The Arts-Intermediate School 70 and Robert F. Wagner Junior High School #167 in Manhattan. Mr. Schwartz coordinated the Manhattan Boro-wide Band program for many years directing them at Carnegie Hall and worked during summers at the French Woods Festival of the Performing Arts where he was director of jazz band, musical director of cabaret troupe, musical/artistic director of many musical productions and director of theatre in his final year. Mr. Schwartz has performed and conducted at Carnegie Hall, Avery Fischer Hall and has performed as principal trumpet on tour in South East Asia and the Pacific with the Long Island Youth Orchestra and throughout Italy with the Rome Festival Orchestra. 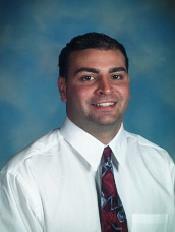 Mark Boschen has been teaching in the Great Neck School District for the past 13 years. During that time he has worked with students from 6th - 12th grade. He is currently the wind ensemble director and co-director of the marching band at William A. Shine Great Neck South High School, as well as the 6th grade band director at Great Neck South Middle School. 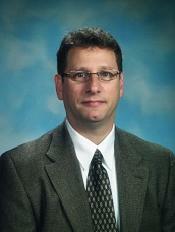 Mr. Boschen is an active member of NYSBDA, NMEA and NYSSMA. Mr. Boschen holds a Bachelor of Arts in Music from the State University of New York at Stony Brook, where he studied trumpet with Ronald Anderson of the New York City Ballet Orchestra, Chris Gekker of the American Brass Quintet and Susan Radcliff. He also holds a Masters Degree in Music Education from Five Towns College. Mr. Boschen currently tours the U.S. as a trumpet player in the German/American band die Schlauberger. Along with playing many large festivals around the country, this band has been asked to perform on the QVC television network and have made an appearance in an iPod television commercial. In 2011, Mr. Boschen had the privilege to guest conduct the HMEA (Hamptons Music Educators Association) festival honor band, which consisted of 6th, 7th and 8th grade students from eastern Suffolk County. 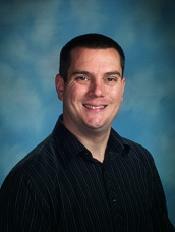 Mr. Boschen currently resides in Bay Shore with his wife and three beautiful children. ​Janine Robinson graduated from the University of Notre Dame with degrees in piano performance and English Literature, Binghamton University with a Master of Music in piano performance with a concentration in vocal coaching from the Tri-Cities Opera, and earned a Doctor of Musical Arts in piano performance. She has performed in the NYC region as a solo recitalist, organist, chamber musician, vocal accompanist, and is a frequent pianist at the Tilles Center with the Nassau All County Chorus. She has worked with the Bronx Opera company for more than 20 years. A lifelong participant in musical theatre productions, Dr. Robinson has been the music director for Oliver, Pippin, Grease, They're Playing Our Song, Threepenny Opera, Joseph and the Amazing Technicolor Dreamcoat, South Pacific, Les Miserables, Urinetown, Rent, How to Succeed in Business Without Really Trying, and many others. Dr. Robinson is thrilled to join the South High performing arts department with Mr. Schwartz, Mr. Marr, Mr. Boschen and Mr. Virgilio. Mr. Anthony Virgilio began working in the Great Neck School district during the 2006-07 school year as Director of the Sixth Grade Band (at South Middle), and instrumental assistant in the William A. Shine Great Neck South High School. Since then Mr. Virgilio created three new courses at South High including Music Technology, Beginner Guitar, and Intermediate Guitar. Mr. Virgilio currently teaches band 6, orchestra 6 and general music at Great Neck North Middle and guitar (beginner and intermediate) and music technology at Great Neck South High. Mr. Virgilio received his Bachelors Degree in Music Education from SUNY Fredonia in December 2004, and his Masters Degree in Music Technology from Five Towns College in 2006.